Deep within the jungles of Central America there’s wild animals and exotic plants which are the inspiration for Ainsworths’ Rich n Wild video pokie. Surrounded by lush vegetation the 5 reels are filled with colourful flora and fauna, but it’s not all about the natural world, as an ancient Aztec pyramid rises up to award players with extra wins and a colourful shield opens up a free spins bonus game. Running from the left side of the reels, we have 30 paylines, all of which are permanently activated and base wins occur when 3 or more of the same symbol stop on adjacent reels across any of them. Free Rich n Wild video pokies are offered at most online casinos, so punters can see how it all works, but many will be familiar with the game, as it’s been a huge success at bricks and mortar casinos for a number of years. Casual players will able to wager just 0.30 per spin while those on bigger budgets can raise the stakes to a high limit of 500.00. If the wide bet range plus the potential for some big wins and rewarding bonuses isn’t enough, then the beautiful artwork should be another reason to head down to the tropical forests featured in this pokie. Like many Ainsworth games, the standard set of high card symbols fill out the lower half of the paytable, which some players will see as an advantage because they know what each is worth, while others would prefer it if all symbols were related to the theme. The 9 and 10 symbols are given the same values and the J, Q, K and A are all worth just a little more. Higher coin wins are paid out when the various picture symbols appear and these really need to be seen to be appreciated as the standard of them is exceptional, making this pokie an essential game for anyone who likes wildlife. A blue and purple bird, along with a flower are the lowest-valued pictures, then there’s an owl, black panther and colourful baboon (who is on the wrong continent, but we’ll ignore that fact and maybe it just escaped from a zoo), are the top value animals of the forest. The pyramid, which Ainsworth helpfully inform players is called Chichen Itza, is a wild symbol, so it’s able to substitute for all others, apart from the shield, helping to complete winning combinations. 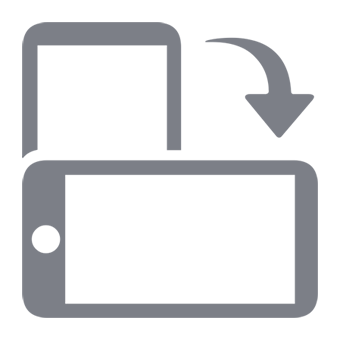 It doesn’t actually pay out anything on its own however, as this icon can only land on reels 2, 3 and 4. The shield is another special symbol, as it won’t need to land across a payline and also returns some of the biggest wins of the game, paying out up to 100x the total stake when 5 turn up at once. On top of this it will also award 12 bonus spins, which differ from those in the base game in a number of ways. The symbols all change in value a little, generally downwards but this is compensated for by a unique Rich n Wild symbol that can turn up on reels 1 and 5 to retrigger the free spins. Just 2 scatter symbols will be needed to get another 3 bonus games. In addition, if the Rich n Wild symbol land the wild symbol will stick in position whenever it appears, so anyone getting them on the very first spin is going to get any wilds to stick around for the next 11 as well. If more and more wilds appear, it’s easy to see much of the middle 3 reels being filled with this valuable symbol, creating multiple winning lines with each spin. 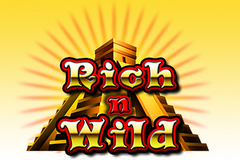 Ainsworth have a particular style applied across many of their online casino games and Rich n Wild is a typical example. It’s filled with colour and detailed symbols, while also having some unique bonus features. Wild substitutions are nothing new, but having a special symbol in the free spins game that causes wilds to stick on the reels and also retriggers the round is certainly not something that we’ve seen before and Ainsworth are to be commended for coming up with something new. Of course, what’s going to attract punters in the first place is the quality of the design and popular theme. The Rich n Wild video pokie has already proved its credentials in land based casinos and now looks all set to repeat this success in the online world, although it’s worth nothing that it isn’t mobile-optimised.